Layout32, a resize engine that can be used to lay out controls on a window, or resize them, or both. You can now take the demo version for a test run or order the commercial version. Layout32 is a powerful, easy to use, and intuitive resize engine for the Microsoft Windows programmer. It is rules-based, meaning that there is no need to fiddle around with confusing docking and anchor properties. what one sees visually when the form is resized. Stretch the Right side of the controls from Edit1 to Edit6 relative to the Right side of the form. 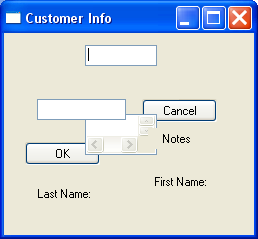 Move the Right side of the controls from Button1 to the List-view relative to the Right side of the form. size, position, and discernible relationship to each other and then laid out using a set of rules. A fully operational distributable DLL or SLL without debugging features. A fully operational developer DLL or SLL with debugging features.
' available on platform versions up to and including the version specified. The demo is fully functional and has the same DLLs and SLLs as the commercial version. Last edited by Dominic Mitchell; 27 Jul 2014, 09:25 PM. Last edited by jcfuller; 26 Jul 2014, 04:00 PM. It is already present in the header file.
' controls in a window based on a set of rules. Last edited by Dominic Mitchell; 26 Jul 2014, 01:46 PM. Spelling correction: It is Jeffrey, not Jeffery. This looks great! I am going to download the demo and play around with it. Also, want to make you aware that when I clicked the "Order Layout32 Resize Library" link, I received the following error. The requested URL /buy2.html was not found on this server. Thanks, broken link has been fixed. The demo has been reuploaded. This fixes a major blunder, at least from the vendor's point of view. Last edited by Dominic Mitchell; 27 Apr 2016, 05:56 AM. The location of the layout rules. Code defining the layout rules can be placed in PBMAIN / WINMAIN or any windows message except the WM_SIZE message. 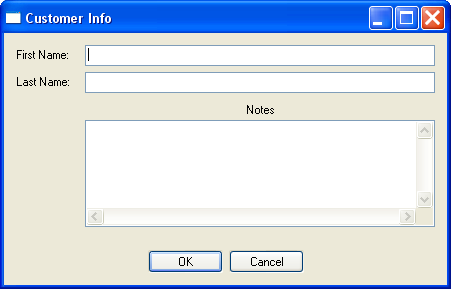 Give Layout32 a try, it makes creating fully resizeable windows/dialogs very easy. I've been using the commercial version for quite a while now and it works perfectly, looks tidy and saves time in creating new client apps. Is it DPiAware and work with PBForms?